Raccoons in your attic? Under your porch? Sleeping in your window well? No problem. One phone call and we can take care of everything. Intrepid can remove and prevent raccoons from invading your home. Each case is different which requires different tools and techniques. 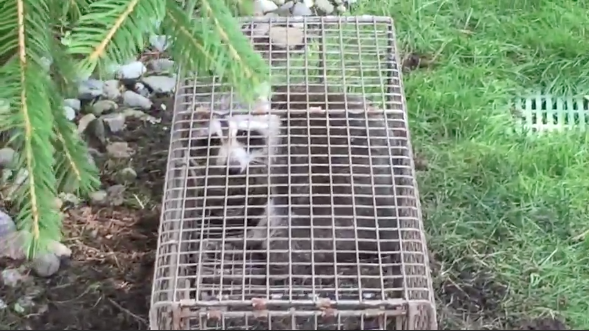 Our years of experience dealing with raccoons allows us to efficiently and safely remove them from your home. We provide 24 hour emergency services for your families safety. Raccoons are very clever and have adapted well to the urban environment. If residing in a house they may use the attic area to establish a latrine site, which can result in enough damage to collapse and allow raccoons to enter the living space. Female raccoons will often enter through chimneys where they will have their young on top of a firebox. They can also use crawlspaces on ground level or below porches or decks to gain access to basements or lower levels of homes. Also known as the masked bandit, the average adult raccoon can weigh between 10 to 30 pounds and in rare instances tip the scale at 40 to 50 pounds. Raccoons are nocturnal and omnivores, with a diet consisting worms, bugs, small plants, acorns, walnuts, frogs, fish, small birds and even smaller mammals. Raccoons tend to breed in February through March. Raccoon young are born in June and July with an average litter of three to five. Young raccoons open their eyes around three weeks. Raccoons do not hibernate, but stay in a den during the winter season for several weeks without exiting. Although cute, these animals are extremely strong for their size and can damage your home overnight. 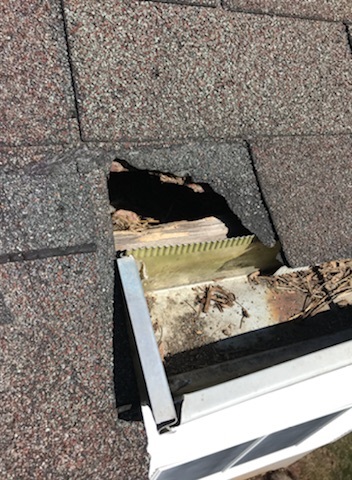 We have seen raccoon damage to roofs, soffits, ventilation systems which can cost the home owner hundreds if not thousands of dollars. Removing raccoon intruders sooner than later can prevent damage, save money and keep your family safe. Raccoons often enter attics to establish a nesting site to raise their young. They will rip up shingles, tear through wood and break into vents to gain access. Once inside they can use insulation to create nesting material and leave behind feces which poses many health hazards. Behavior patterns of a sick raccoon include acting fearless, aggressive, walking in circles or foraging/wandering during the daytime. These are warning signs that a raccoon may be sick and should be avoided. The most common danger raccoons pose to humans is the Rabies virus, an extremely fatal disease. Rabies targets the central nervous system and ultimately the brain resulting in death within days if left untreated. 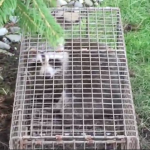 Because raccoons tend to be aggressive and disoriented when confronted, it is important to minimize the chances that any humans or pets in the home may end up being bitten or scratched by the animal. Rather than confronting or attacking the intruder, call Intrepid Wildlife Services immediately for raccoon removal Westchester, NY. If you are bit by a raccoon seek medical attention immediately. Once inside your home raccoons will use its area as both a nesting and a latrine sight. Raccoon droppings present a bio hazard and should be handled only by a licensed professional. Raccoon droppings may carry roundworm eggs, and can cause serious health problems. 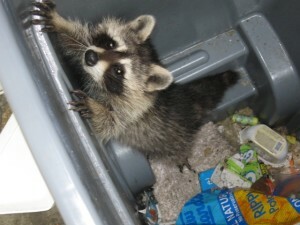 One of the most beneficial things to do to keep raccoons would be to properly secure your garbage cans by either investing in a steel garbage can with a lockable lid or a garbage can housing that prevents the entry of wild animals. The key is not to allow access to your garbage cans. Once a raccoon successfully reaches your garbage it will continuously return to rummage through your trash. Although you may enjoy watching and feeding birds on your property it is important to clean up any spillage from your feeder. Raccoons will eat any spilled seeds, especially sunflower. 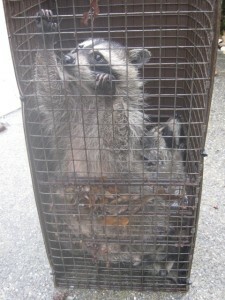 We have on many occasions late in the evening received calls about raccoons entering a home through a cat or dog door. The best way to prevent raccoons from entering is to either secure pet doors during the night or install electronic pet doors that only work with remote collars. Based on our experience with electronic deterrents we have come to realize that they are not a reliable way of stopping raccoons. In one case we had a customer who asked if she should shut off her deterrent device, we said to leave it on. 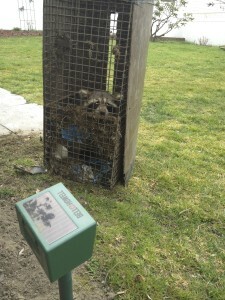 The next day there was a raccoon waiting in one of our traps that was two feet away from the device.